Haha. 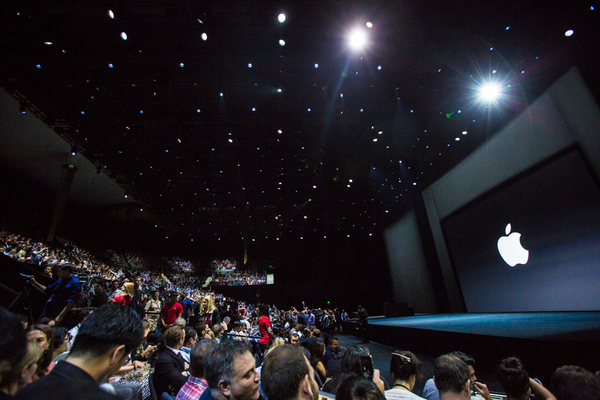 I don't think there's going to be an Apple Car here. I hope. Beats One said they're broadcasting from the West Coast instead of London. I wonder if we're going to have a DJ performance at this show. Or a band? In September last year, we have a song by U2. Another event had The Weeknd. Follow Shara at @sharatibken, and me at @jetscott for additional updates throughout (and after). Eddy Cue, Apple's senior vice president of Internet software and services who oversees iTunes, Beats, Apple TV and Apple Pay tweeted earlier today that "it's a big day for the big screen." We're thinking the "big screen" he's talking about is television. 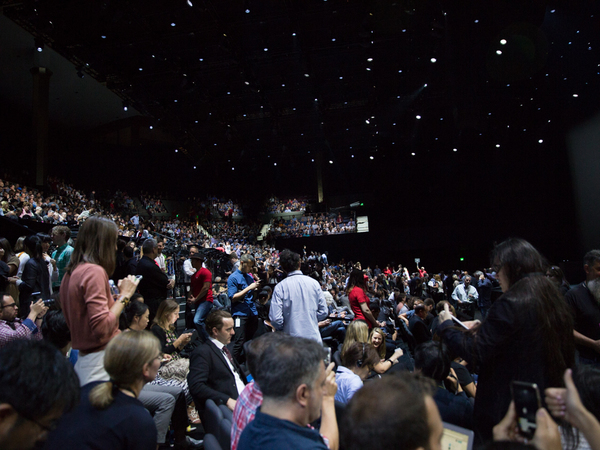 Though it could be a bigger iPad, which is also expected today. 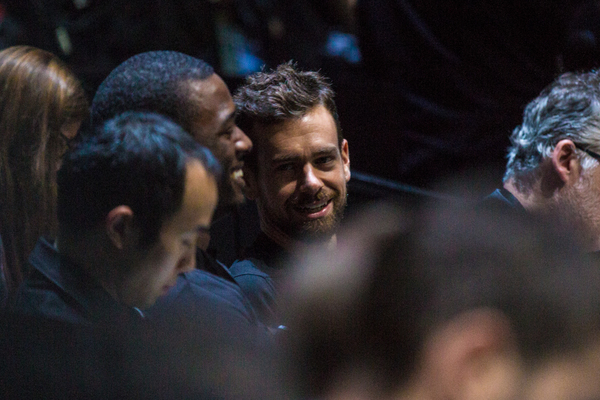 Jack Dorsey, CEO of Twitter and Square is sitting in the middle section. 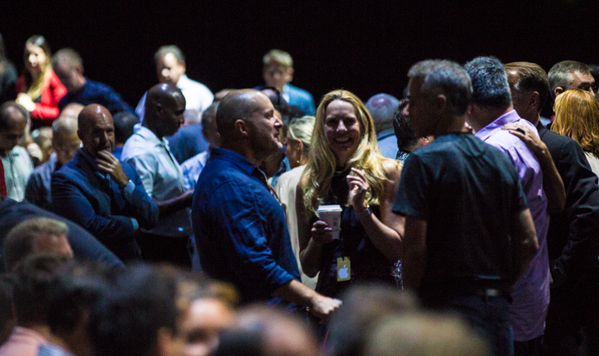 No one's too busy for an Apple event. So, today: could be so many things. iPhone almost batting third in this lineup. 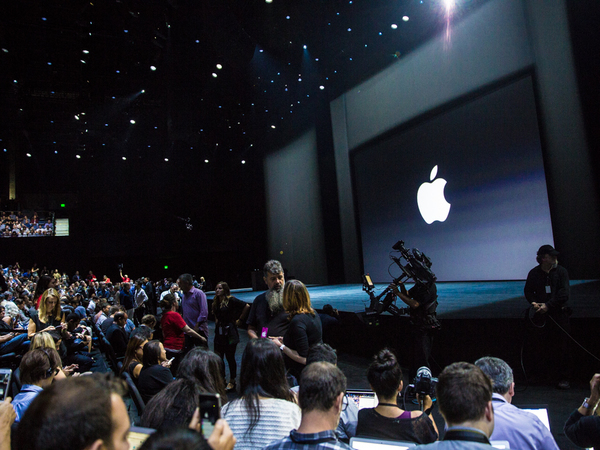 But with Apple TV, Apple Watch updates, new iPads, and maybe (who knows) Mac stuff, how will it fit in one event? Everyone wants a 32GB base for the iPhone. I do too. But really, that seems to be more about offering more bang for the buck on entry level iPhone. Apple should do away with 16GB: offer more storage, shoot more photos, use more cloud storage, and collect more apps. It'll feed the system, anyway. They have the media seated pretty far from the execs. 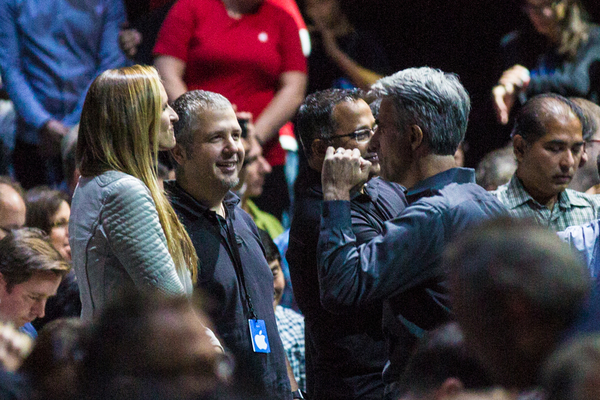 In the photo below we've got Craig Federighi, senior vice president of software engineering. 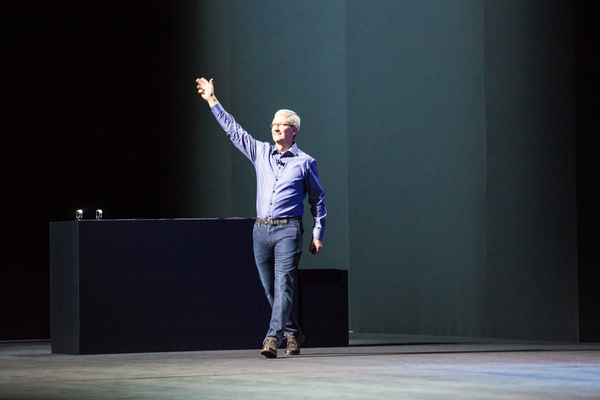 Federighi is seen as a rising star at Apple, and he oversees both iOS and Mac OS X software. He took on the role in late 2012 after Cook fired iOS head Scott Forstall following Apple’s Maps fiasco. Also, expect a TON of apps today. For Apple Watch and Apple TV, at the least. 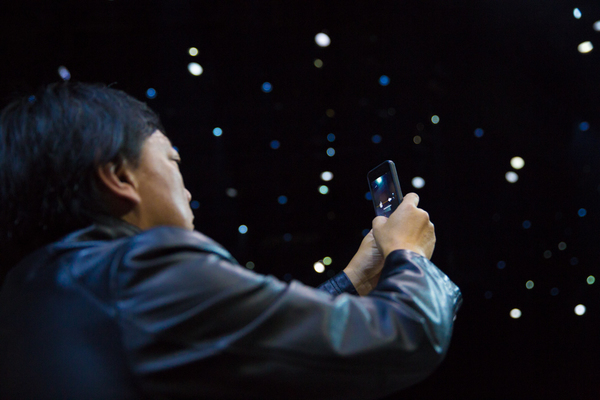 Add in iPhone/iPad, and apps could steal the show. 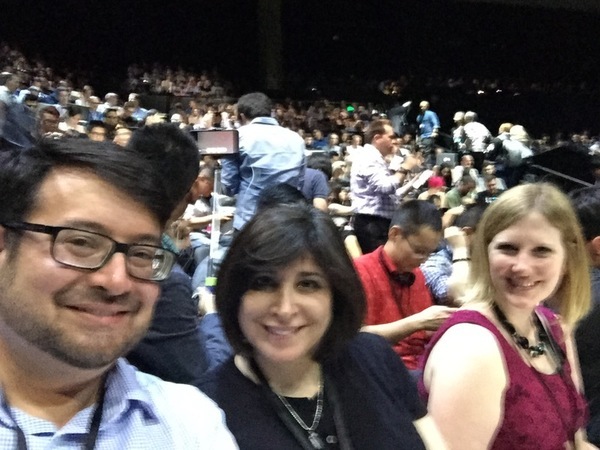 iPhone: I want more battery life, and for Force Touch to offer better on-screen keyboards. And obv. better camera. Ok. Guys, thanks for the comments, but we're getting started shortly so shutting those off. Apple TV: have it play it games well. And offer interesting TV packages. 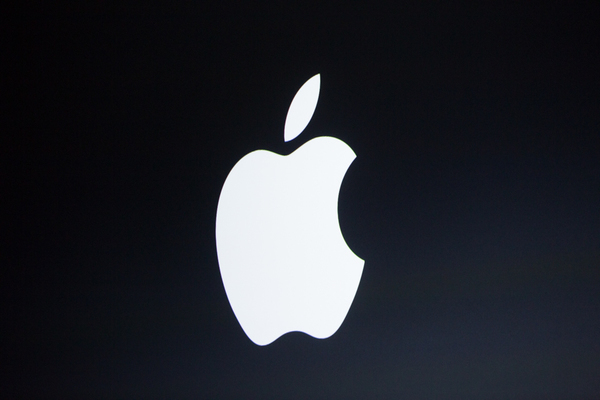 Here's Tim Cook, Apple's CEO taking the stage. Apple Watch: watch faces. Those are my wishes. Here we go. 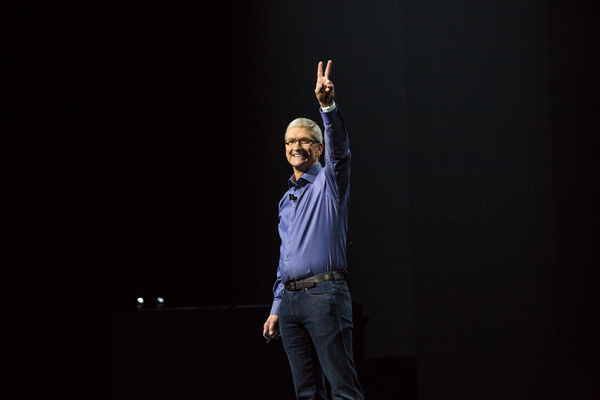 Tim Cook on stage. "Thank you, thank you. Good morning." "We could not be more excited to be here this morning." "We're so excited people from all over the world could join us, including many of our employees." 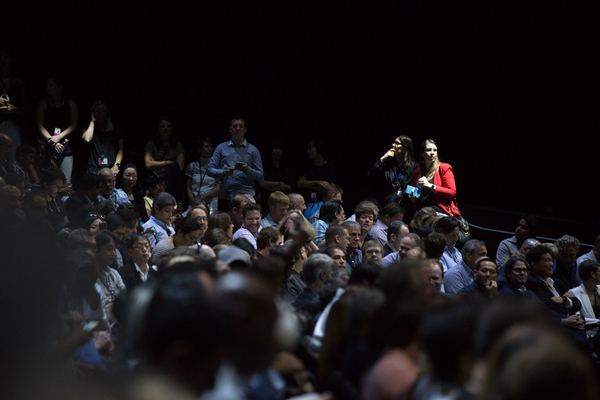 Looks like a third or more of the auditorium is Apple employees.